Our Sunday afternoon concerts are presented at the doorstep of the Pacific Ocean located off Hwy 1 in Half Moon Bay, just 35 minutes south of San Francisco and 40 minutes west of Silicon Valley. Doors open at 3:30pm for the 4:30pm show, giving ample time to enjoy the buffet and wine bar or picnic along the magnificent Miramar Beach at our feet. In memory of our founder, Pete Douglas. 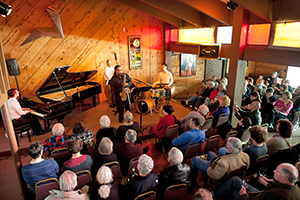 Pete transformed a tiny beach-side shack into one of the most intimate and vibrant jazz venues in the world. Through the years, our concert hall has come alive with a long list of jazz legends, including Betty Carter, Bill Evans, Dexter Gordon, Stan Getz, Max Roach, McCoy Tyner, Bobby Hutcherson, Art Blakey, Etta James, Milt Jackson, and Eliane Elias, to name just a few. 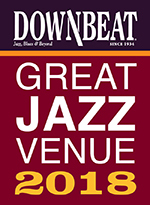 It’s no wonder that the Bach has been listed as a DownBeat magazine “Great Jazz Venue” for several years running. And beyond jazz, we have featured classic notables including the Kronos Quartet and Mariano Cordoba. Pete’s vision and spirit live on at the Bach through his daughters, as they carry on with a unique mix of quality local, upcoming, and world class programming.